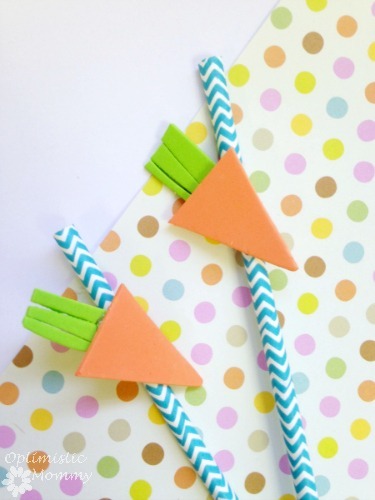 Add a little pop to your spring party when you craft these easy carrot straw toppers. 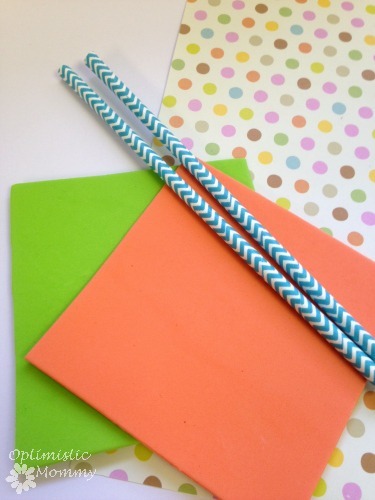 These carrot straw toppers can be made with dollar store supplies and can be whipped up in just minutes. Here is how you can get busy crafting your own carrot straw toppers, perfect for adding character and fun to your spring and Easter parties! 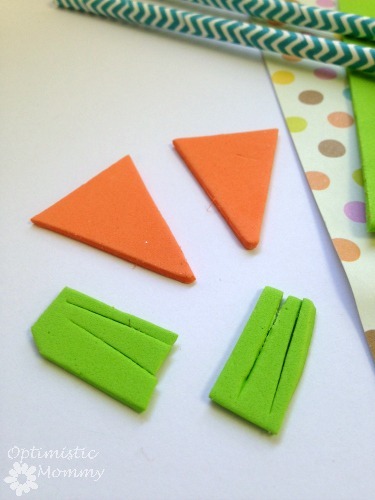 Begin by cutting small triangles out of the orange craft foam. Cut some smaller fringes of green foam out and glue them to the top/back of the triangles. You should now notice that your carrots have taken shape. Add a dab of glue to the back of the carrot and press it to the straw. Place it down far enough so the straw is still easy to drink from. Your carrot straw toppers are now ready to be used. Display them in a jar for guests to easily grab and use. They add a decorative aspect to the party but are still so functional! Gather your supplies and give these easy carrot straw toppers a try! Super cute & creative! I would love for you to share this over at my new link party Making Memories Mondays going on now! Super cute and really easy! Too cute! Thank you for linking up with Thursday Favorite Things! These straw toppers are so cute! Perfect for a summer party!